Sean Lynch, Adventure Capital, 2014-5. Projected colour image, Courtesy of the Artist and Kevin Kavanagh. DUBLIN.- Artist Sean Lynch will represent Ireland at the 56th International Art Exhibition  La Biennale di Venezia  with a new body of works entitled Adventure: Capital that traces a journey from myth to minimalism around Ireland and Britain. Combining sculptural, video and archival elements, Adventure: Capital will be Lynchs most ambitious project to date, bringing together banknote rivergods, public art at regional airports, abandoned quarries, a field in Cork and a roundabout in Wexford, on a storytelling journey that explores notions of value and the flow of capital through an anthropological lens. 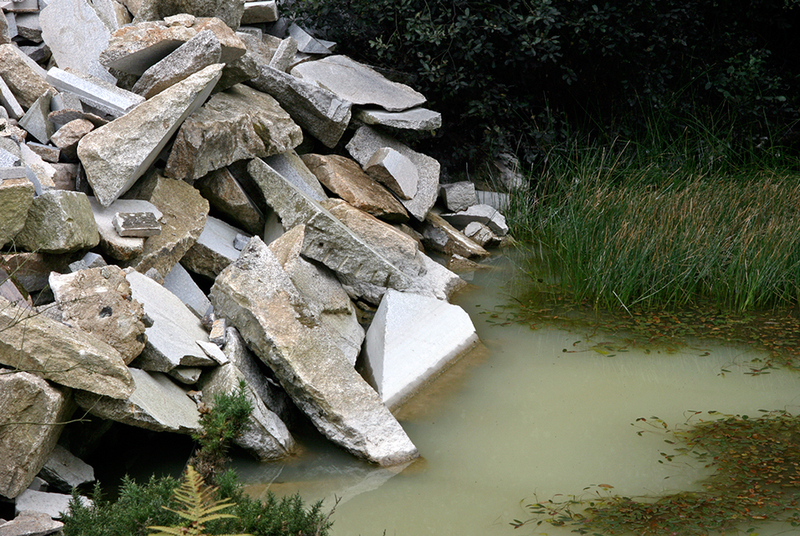 Ireland at Venice 2015 will be located in the Arsenale section of the Biennale and open to the public from 9 May  22 November 2015. The Commissioner for Irelands Pavilion is Mike Fitzpatrick, Director of Limerick City of Culture 2014, Ireland and Head of School, Limerick School of Art and Design, lit, Ireland. The Curator is Woodrow Kernohan, Director of eva International  Irelands Biennial, Limerick City. Ireland at Venice is a Government initiative led by Culture Ireland in partnership with the Arts Council / An Chomhairle Ealaíon. Sean Lynchs multi-media practice positions him somewhere between artist and storyteller. Similar to a historian or ethnographer, he reveals unwritten stories and forgotten histories, extracting alternative readings of place, events and artefacts through his works. Lynchs projections, photographs and sculptural installations refer to a contemporary form of the Irish Bardic tradition; lost narratives of Irish social and cultural heritage are revived and given new form through his artistic practice. Peculiar subjects and events have been resurrected through Lynchs artistic investigations, including Joseph Beuys visit to Ireland in 1974, Celtic Revival architecture and the mythical island of HyBrazil. Recent acclaimed projects have seen Lynch uncovering illicit carvings made by Irish stone-carvers, the OShea brothers, in Oxford, UK; exploring socially conservative reactions to modern art in Ireland; working with the fast-food outlet on the site of the first museum in the UK, and locating repurposed remnants of the infamous DeLorean car factory at the bottom of the Atlantic Ocean. The exhibition will subsequently tour to acclaimed Irish and International institutions during 2016  17. Sean Lynch (b. 1978, County Kerry, Ireland) is an artist living and working between London, uk and Askeaton, Limerick, Ireland. He studied at the Städelschule, Frankfurt am Main, Germany and Limerick School of Art and Design, lit, Ireland. Selected exhibitions include: Modern Art Oxford, uk; visual, Carlow, Ireland; Dublin City Gallery the Hugh Lane, Dublin, Ireland; The Model, Sligo, Ireland; Crawford Gallery, Cork, Ireland; Camden Arts Centre, London, uk; Frankfurter Kunstverein, Frankfurt, Germany; imma | Irish Museum of Modern Art, Dublin, Ireland; Limerick City Gallery of Art, Limerick, Ireland. Forthcoming exhibitions include Lismore Castle Arts, Ireland; capc, Musée dArt Contemporain de Bordeaux, France. Artist residencies include Cove Park, Scotland and Gasworks, London, uk. Sean Lynch is represented by Kevin Kavanagh Gallery, Dublin, and is author and editor of many artist publications and bookworks.